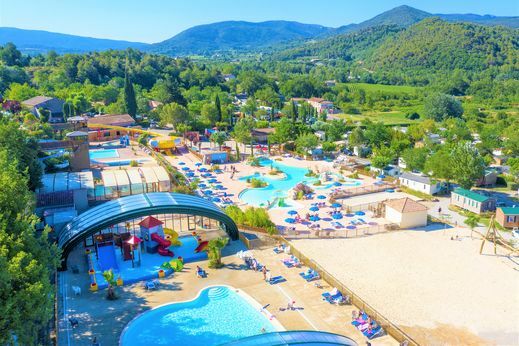 At 30 kilometers from Orange, in Provence, in the Pays du Mont Ventoux, camping Le Carpe Diem is located only 1.5 km from the medieval village of Vaison la Romaine. 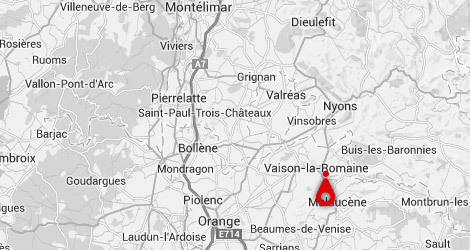 Rental of mobil homes, "Maison Carabouille" and camping pitches available on a green and hilly terrain. Some locations offer stunning views of the medieval city! Vaison la Romaine has considerable archaeological heritage! Visit the medieval city, its streets, its castle and its Roman bridge. 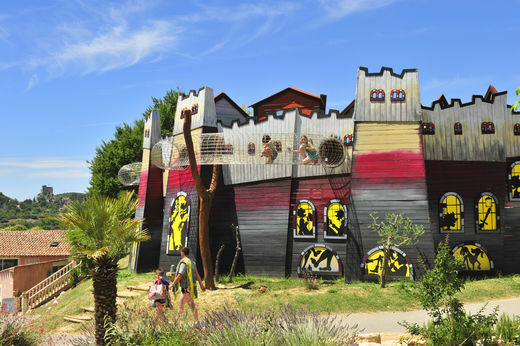 This area is full of ancient sites such as castles between Vaison, Entrechaux, Villedieu and Rasteau and medieval hilltop villages such as Crestet and Séguret. The campsite is located 10 km from the foot of the Mont Ventoux, go and climb this mythical summit by bike or car! Enjoy unspoilt nature with its many vineyards and olive groves in which the town of Nyons, located at 17 km, is one of the capitals. 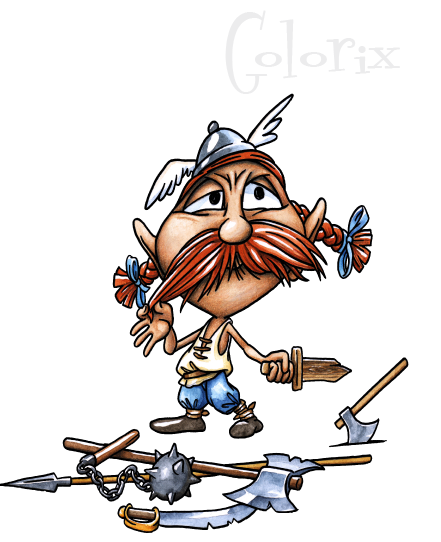 Golorix the Gaul lived in the Roman city of Carpe Diem, even if he wasn’t so himself. Day-to-day living, the circle of the disappearing poets, running naked in the fields to the tunes of mandolins, none of it appealed much to Golorix. “I like war, the smell of cold metal and the sound of my shield bashing Romans” he shouted to anyone who’d listen. “They’ll be no use to you your poetic verses, mandolins when the Romans come to attack us“, he said enraged. Well, Golorix, who wasn’t really funny, would train to the art of war on his own, while his friends made the most of it. One morning, the Romans arrived. They came from Rome. An entire legion of thousands of soldiers invaded the city of Carpe Diem. Golorix saw red. He courageously took his weapons and got ready to fight and defend his city. The Romans didn’t see it that way “There is no way we are going to another battle, let’s take a break and rest in this welcoming city”, decreed the Imperatore. Weapons were put down, and the Romans never left. Vaison la Romaine and its medieval city and Roman remains (1.5km), Mont Ventoux (8km foot), Gorges du Toulourenc (20km) et Gorges de la Nesque (50km), Orange (30km), Avignon (45km), the crocodile farm of Pierrelatte (40km), the Dentelles de Montmirail (30km).